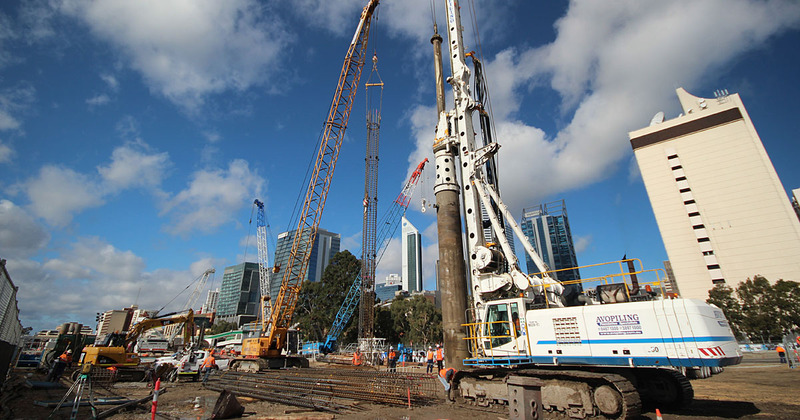 Continuous Flight Auger (CFA) Piles are built by drilling a hollow-stem auger into the ground to form the pile’s diameter and a concrete pump is utilised to deliver concrete through the hollow auger stem to the pile. 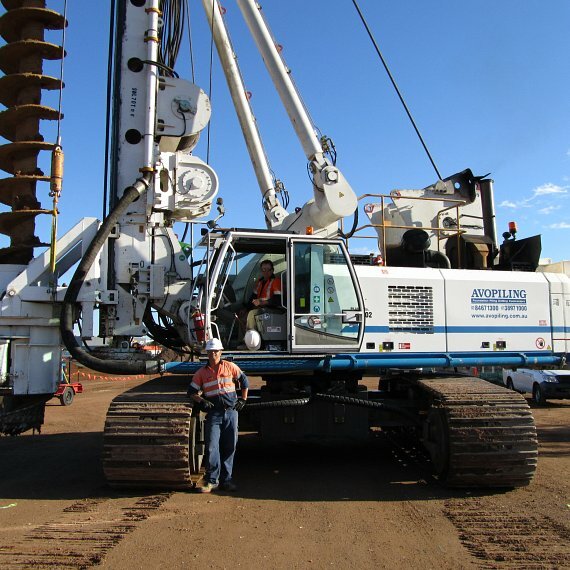 Pile diameters range from 300mm to 1.2 m.
Piling Lengths range to 36 m.
Rig weights range from 11t to 160t. CFA Piles can be installed quickly and inexpensively without significant vibration or excessive noise being produced. They are ideally suited for most soil types. 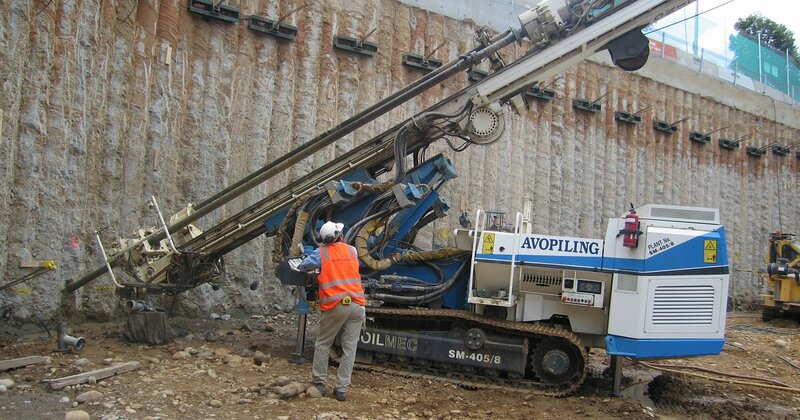 Avopiling’s own design of drilling tools is capable of drilling into certain rock layers. 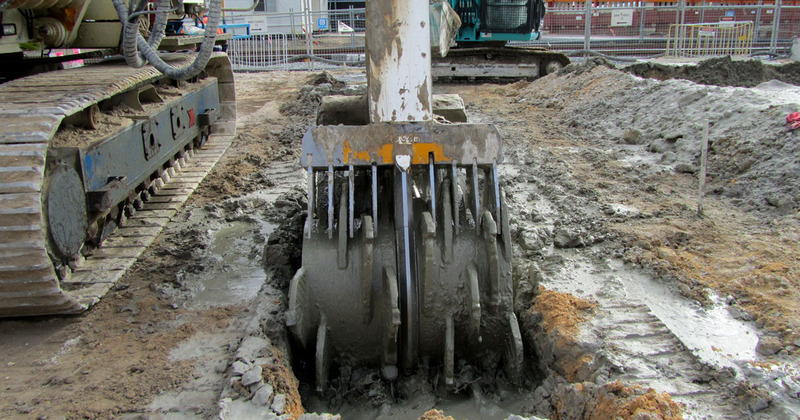 Once desired pile level is achieved sand-cement grout or special concrete mix is then pumped into the hole through the hollow stem of the auger while being extracted, eliminating the need for temporary casing and making them ideal for non-cohesive or water bearing soils. 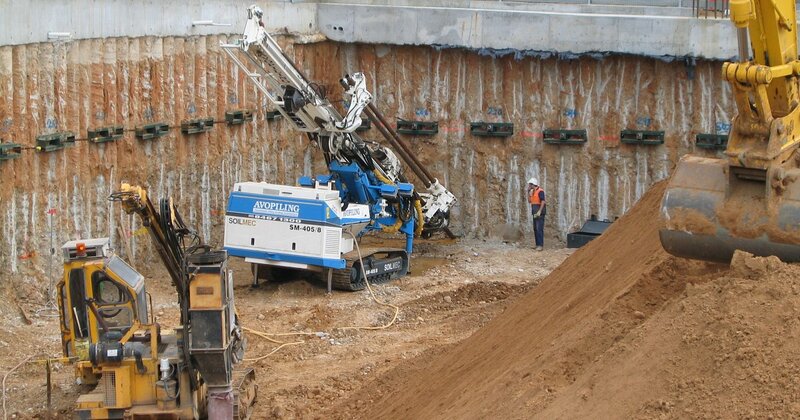 CFA System is ideal for foundation piles and for embedded retaining walls such as contiguous and secant piled walls. Perth City Link, formerly known as the Northbridge Link, is a collaborative project funded by three tiers of Government and led by Metropolitan Redevelopment Authority and the Public Transport Authority (PTA). 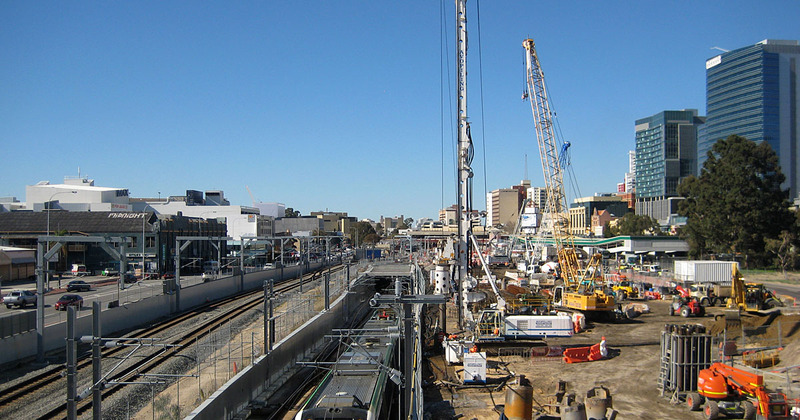 The PTA’s $609 million ($360 million Rail and $249 million Bus stage) transport infrastructure work at and around Perth Station is the catalyst to bring Perth City Link's vision to life. Installation of Stage 1 during 2012 of 81 No. 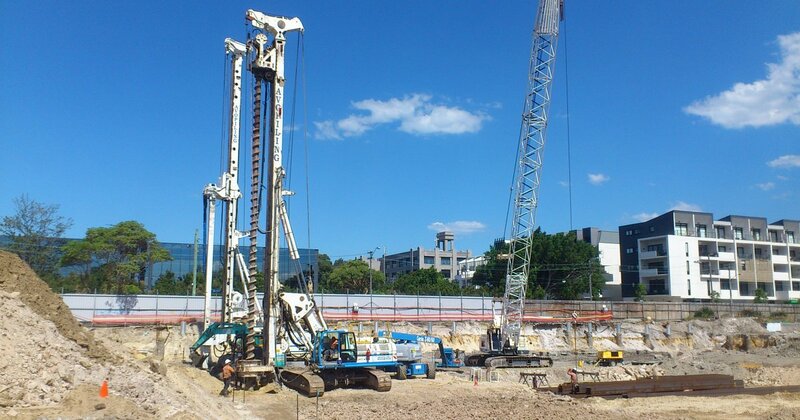 1050mm & 1200mm diameter Bored Piles up to 47m in depth utilising a temporary casing system with the combination of polymer and bentonite as drilling fluid. 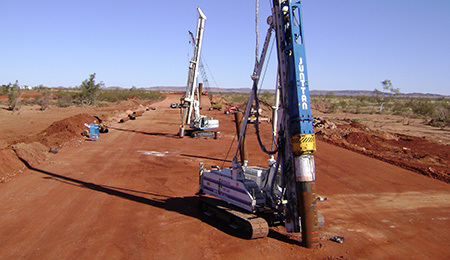 The piles included socketing of up to 12m in the Kings Park Formation rock. Stage 2 to commence in 2013, includes 62 No. 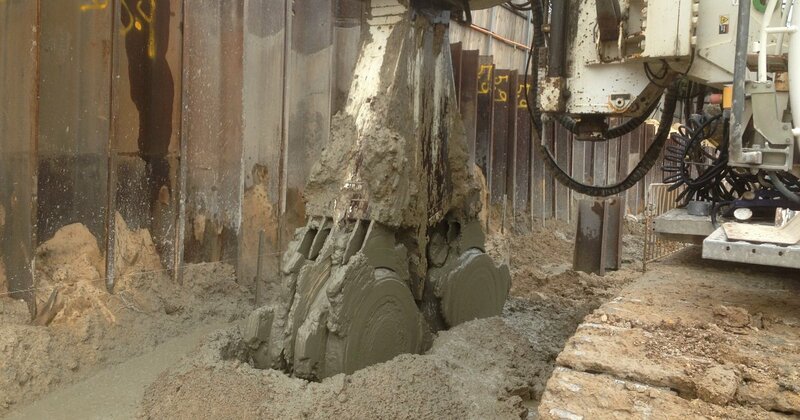 1050mm & 1200mm diameter piles up to 45m in depth. OTTO Rosebery is a residential building project comprising of 4 apartment buildings ranging from 3 to 7 storeys with 2 basement parkings. Brown is the nominated Structural Consultant and ICON Construction Group is the nominated construction company to undertake civil and building construction works. Avopiling was tasked to design and construct CSM walls and exterior/interior CFA Piles The project is programmed in two stages. Stage 2 is noted to be difficult due to existing concrete piles needed to be avoided during actual construction. 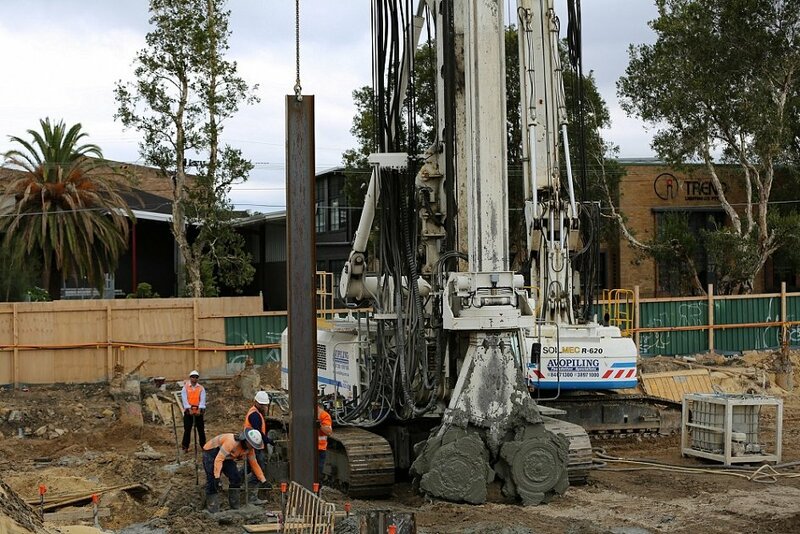 Stage 1 is made up 188 CFA piles with varyiing sizes 450Ø, 600Ø and 750Ø to a maximum depth of 17 metres using 40 to 60 mpa concrete and 97 CSM wall panels with a dimension of 640mm X 2800mm reaching depths of 13 metres. Three wall sections were anchored to a total of 84 anchors and one wall section is cantilevered with only a 9mm inclonometer deflection. CSM walls consisit of 4 external and 2 internal panels. CSM walls are reinforced with 2-3 of 310UB40 steel beams. The walls were able to achieved 8-12 Mpa strength. 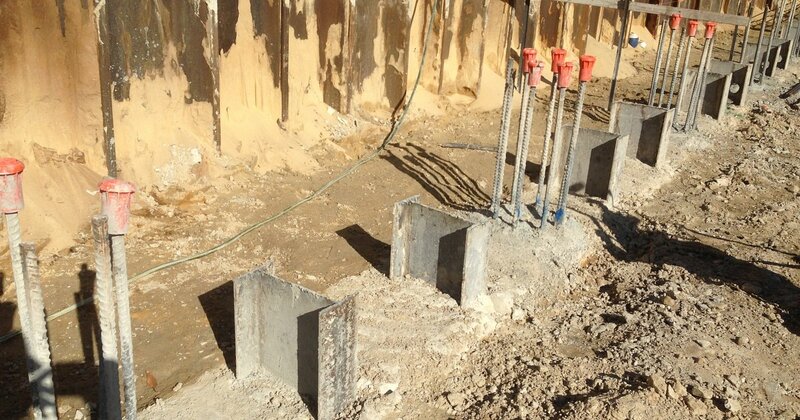 Stage 2 is made up of a combination of 88 panels CSM wall and CFA piles, wall panels to 8.5 metres deep and 163 nos. of CFA piles with various diametres to depths of 12.6 metres. The project entails the design and installation of secant pile wall made of 370No 600Ø CFA piles and 150No 125mmØ temporary anchors.